4G Clinical is a cutting-edge randomization and trial supply management (RTSM) company focused on bringing crucial medicines to those who need them, faster. 4G Clinical’s RTSM platform, Prancer, is built on a modern technology stack and employs natural language processing alongside integrated clinical supplies forecasting and management functionality to slash development timelines, increase operational efficiencies and offer exceptional quality. Staffed by RTSM pioneers, marketing, and engineering experts with over 200 years of combined industry experience, 4G Clinical’s seasoned team has supported hundreds of studies in over 40 countries. 4G Clinical was founded in October, 2015 and is headquartered in the heart of the Boston biotech corridor in Wellesley, MA. 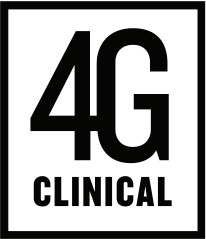 4G Clinical currently operates in 7 countries. For more information, visit www.4gclinical.com.